Kappa Sigma (ΚΣ), commonly nicknamed Kappa Sig or K-Sig, is an American collegiate social fraternity founded at the University of Virginia in 1869. Kappa Sigma is one of the largest international fraternities with currently 316 active chapters and colonies in North America. 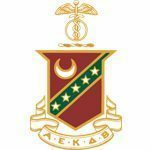 In 2012, the Fraternity “pledged more men than any other fraternity in history.” It is one of the leaders of all American fraternities in terms of pledges and new initiates per year, service hours, and philanthropic donations. Its endowment fund, founded in 1919 is the oldest college fraternity foundation and has donated more than $6.5 million to undergrads since 1948. In 2012 alone, the Fraternity’s endowment fund raised over $1 million in donations.